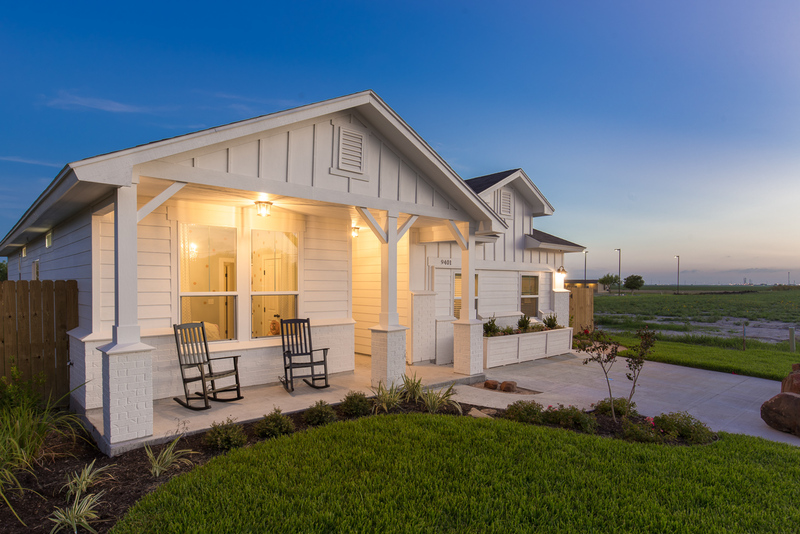 For well over 50 years in the Coastal Bend area, Hogan Homes has been developing neighborhoods and constructing homes built with time-tested craftsmanship and outstanding style. 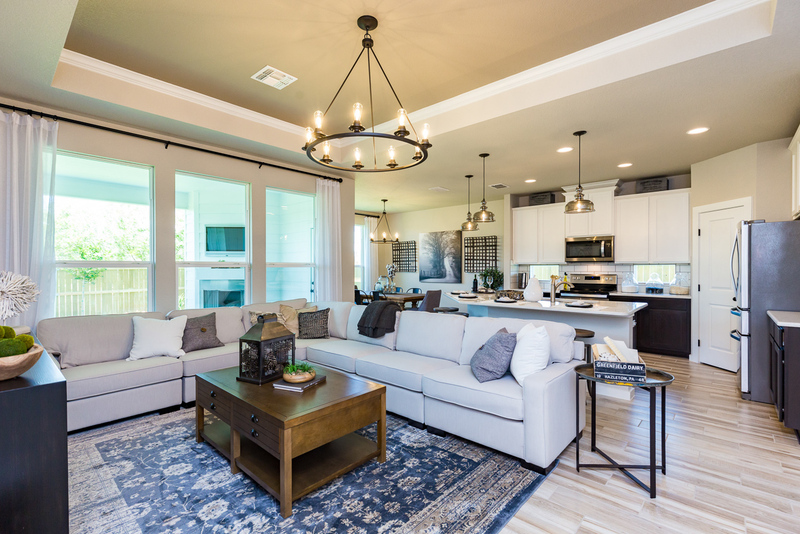 Over the last 10 years, since the company began entering Parade of Homes’ competitions, their peers have honored Hogan Homes with numerous awards of excellence. The 2018 Coastal Bend Parade competition was no exception. Hogan Homes is proud to have received 8 of the 9 awards available in the “Under 1800 Sq. 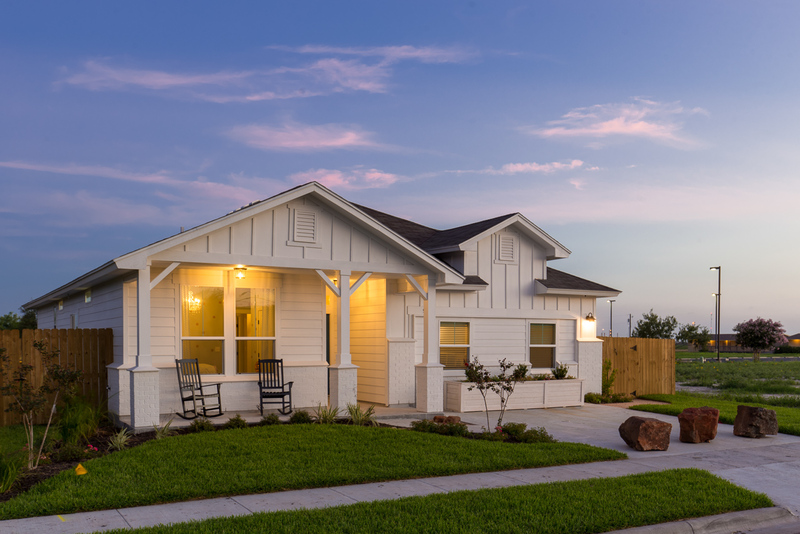 Ft.” division for its model home at 9401 Sedalia Trail, located in the community of The Crossing At Northwest in Corpus Christi. 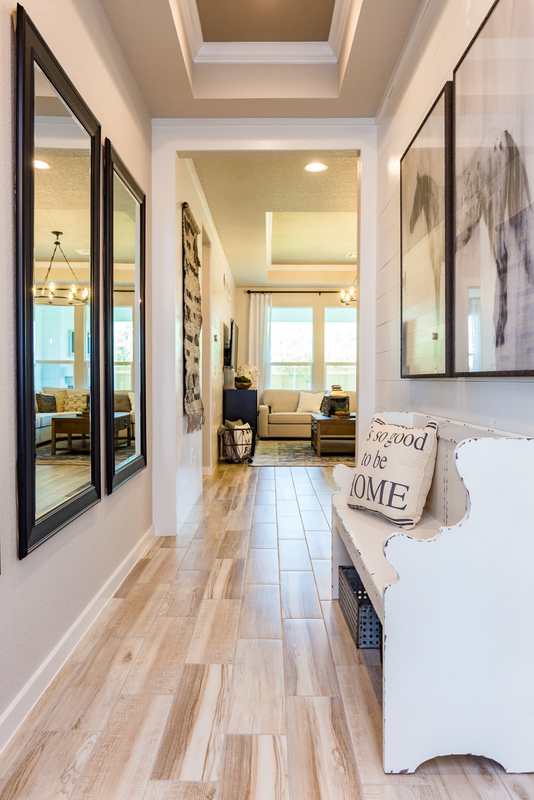 This award-winning home of 1735 square feet includes 4 bedrooms/2 baths—with awesome features that won the most awards of any builder in the Parade—and is a great example of the caliber of home that Hogan Homes can build for you. Among the awards this charming Sedalia Trail home won this year in the “Under 1800 Square Foot” category were “Best Landscaping” and “Best Exterior.” At the front of the home, there is a welcoming curved sidewalk lined with rose bushes and plants. 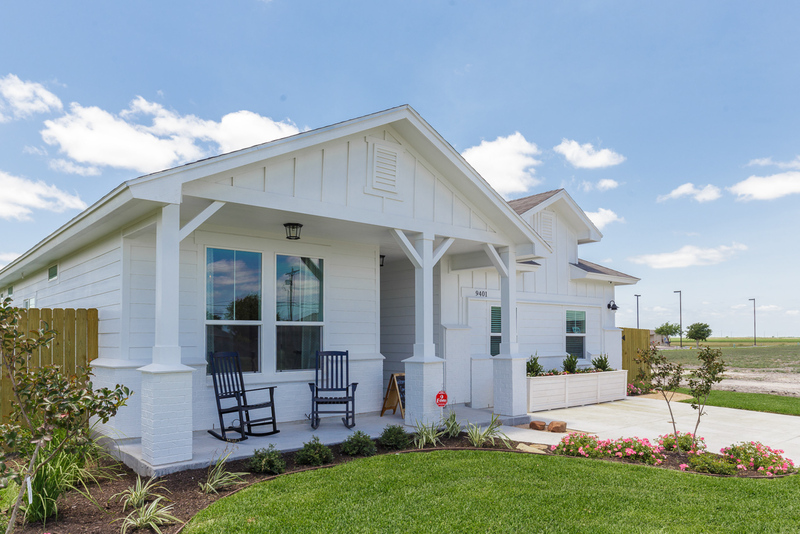 The exterior design is pure “Modern Farmhouse,” with white clapboard, white brick, and a hospitable covered front porch, perfect for greeting neighbors with a big Texas-friendly smile! 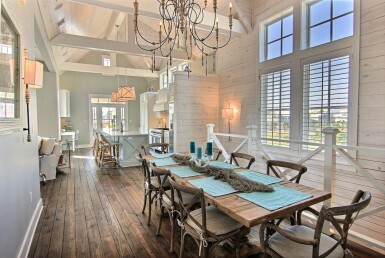 The home also won “Best Interior” and “Best Craftsmanship,” and once inside, we can understand why. Immediately inside the front door is an attractive foyer with a transom window above the door and a lovely two-tone tray ceiling. 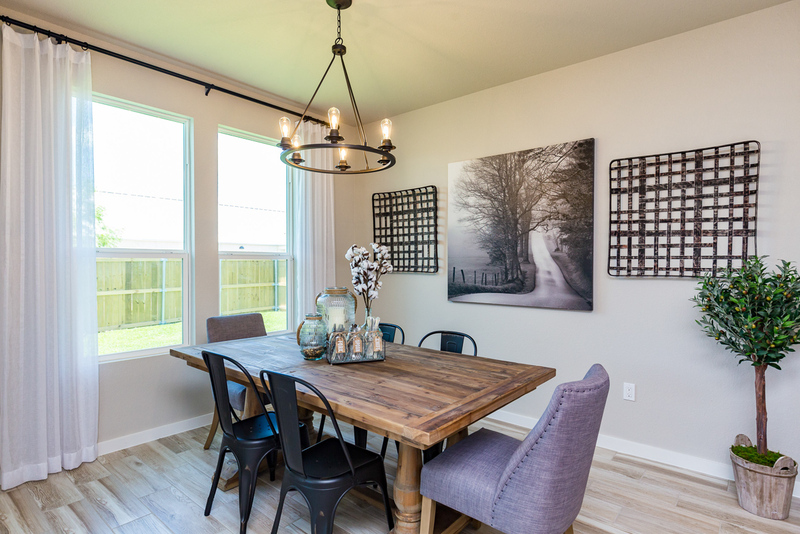 The walls are in colors of tranquil taupe and white, and the flooring is a ceramic tile with the look of wood planks that give it a Farmhouse charm. 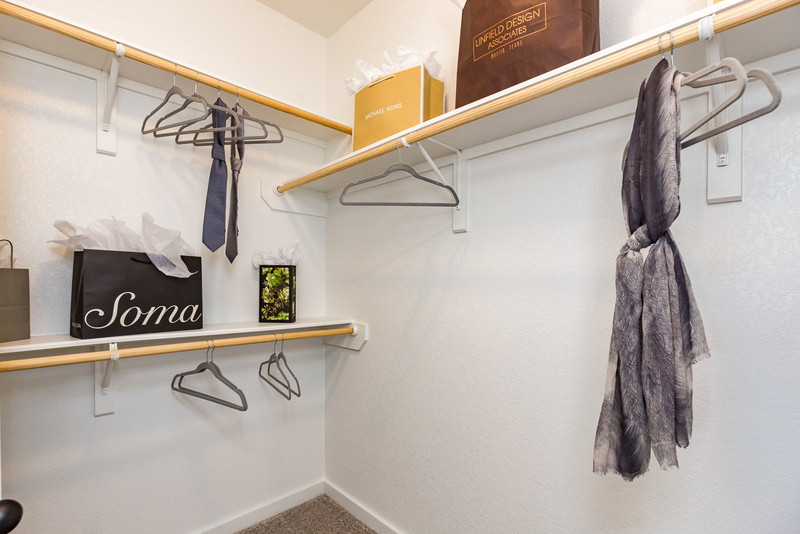 To the left of the foyer is a compact hallway that leads to two bedrooms and a shared bath. 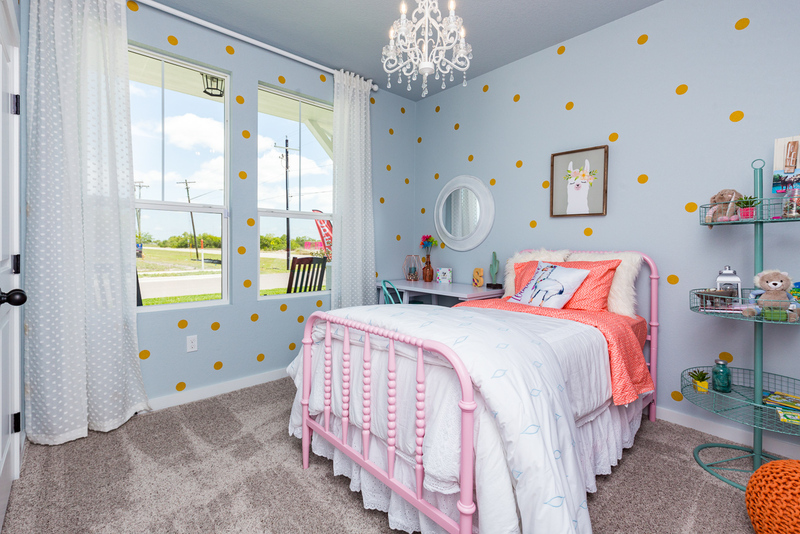 The front bedroom has large windows overlooking the covered porch, soft, toe-snuggling taupe carpeting, a white crystal chandelier, and a double-door closet. 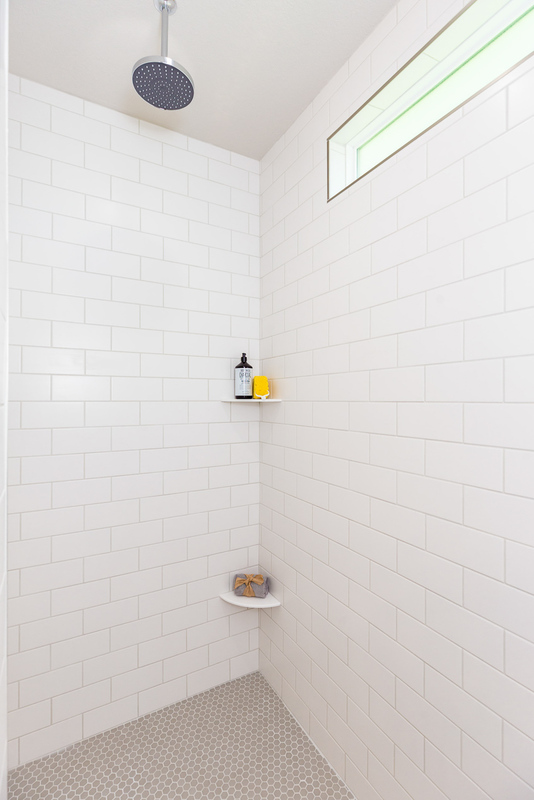 The bathroom is convenient with a shower/tub combination, a clerestory window to let in natural light, and a large quartz sink and mirror. 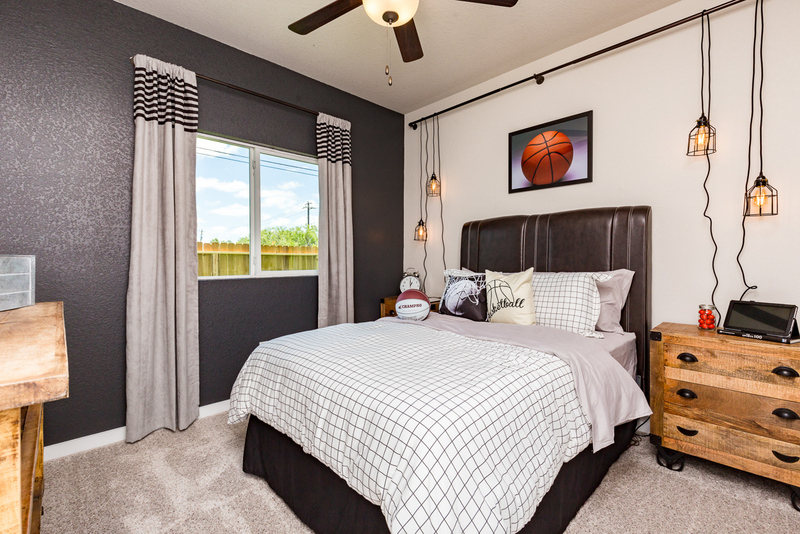 The second bedroom also is softly carpeted and has a large window and closet. Beyond the front bedrooms and back into the main hallway, there is a continuation of a lovely two-tone tray ceiling that leads to the back of the home. 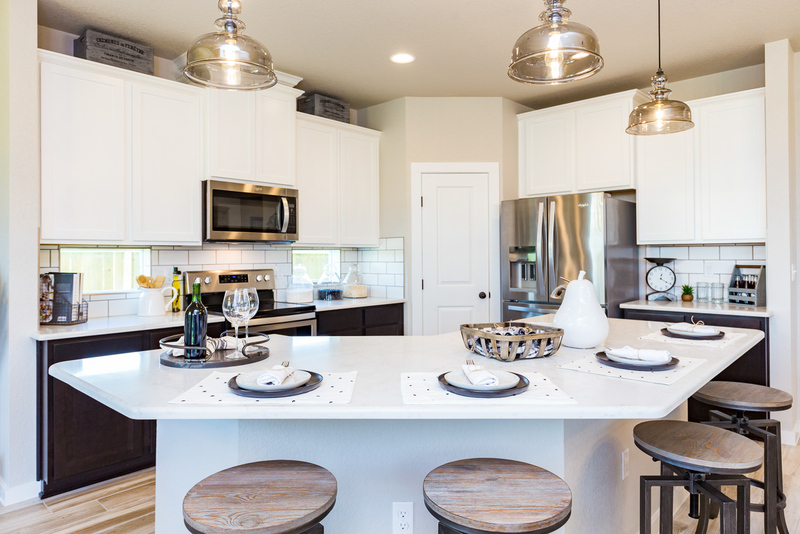 Here is where we find an open floorplan living, dining, and kitchen. 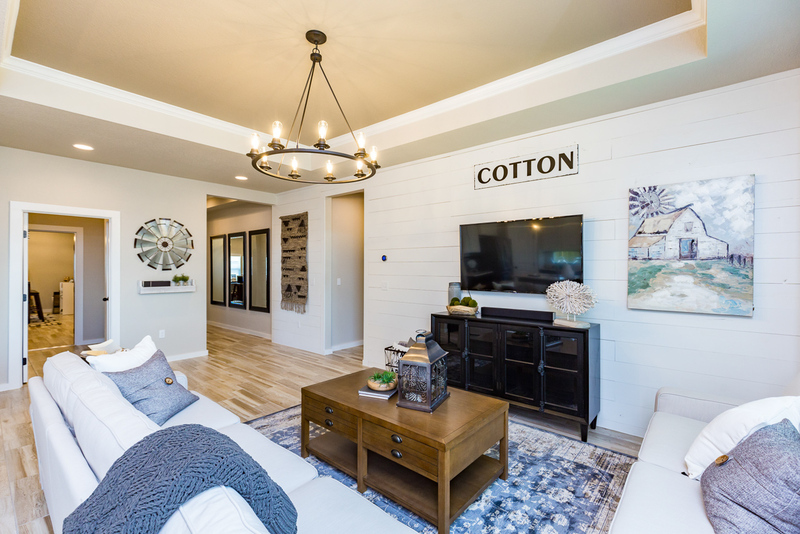 Hogan Homes has thought of everything a homeowner desires in this well-designed farm-themed space: a chic white wood plank backdrop wall in the living area, large windows that look out to the backyard, a beautiful tray ceiling with recessed lighting, and a large farm-style wheelhouse chandelier. Off the living area is a sizeable dining area with a matching wheelhouse chandelier and generous windows to let the daylight shine in; and a kitchen area—perfection with a striking quartz countertop eat-on island and double stainless sink combination, white subway tile backsplash, spacious crisp white cupboards, a walk-in Butler’s pantry, recessed lighting, and high quality, energy efficient Whirlpool stainless appliances. 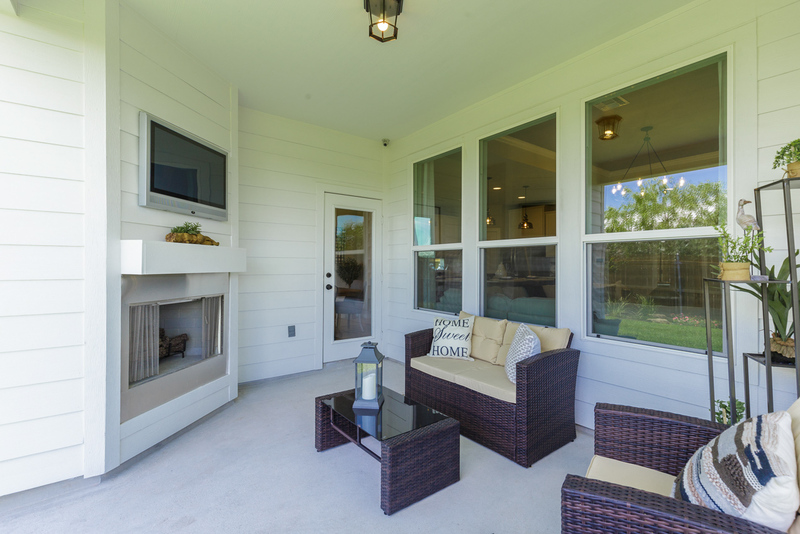 A door off the dining area leads outside to an inviting covered patio. 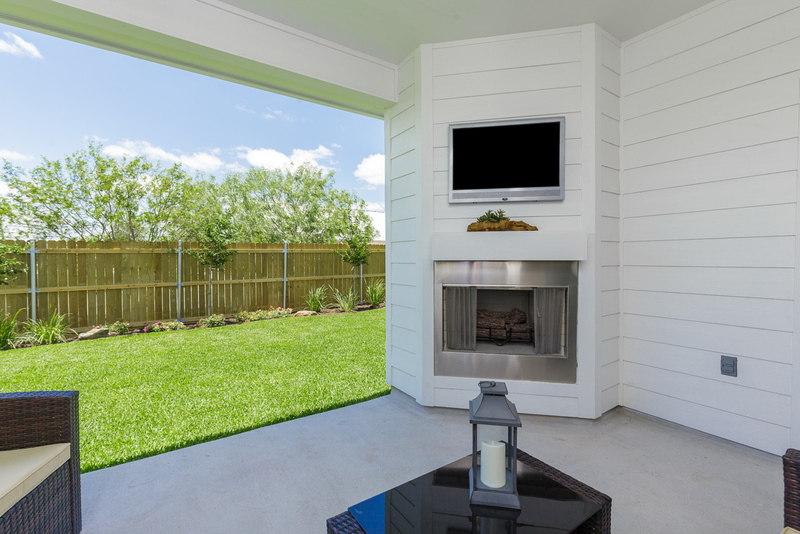 Here we see real Texas-style outdoor living: a wood-burning fireplace and a large wall mount TV. How perfect for watching those football games on a cool autumn evening by the glow of the fire! 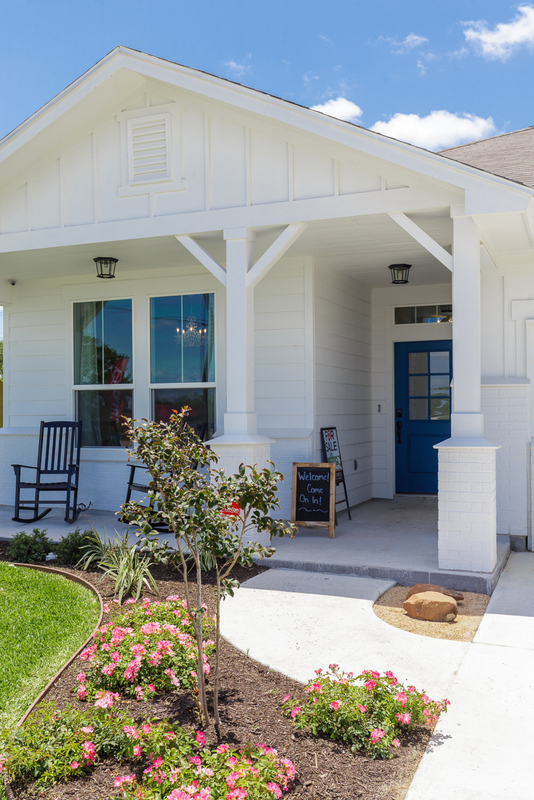 We can understand why Hogan Homes won the “Best Exterior” award with this addition of thoughtful outdoor design. 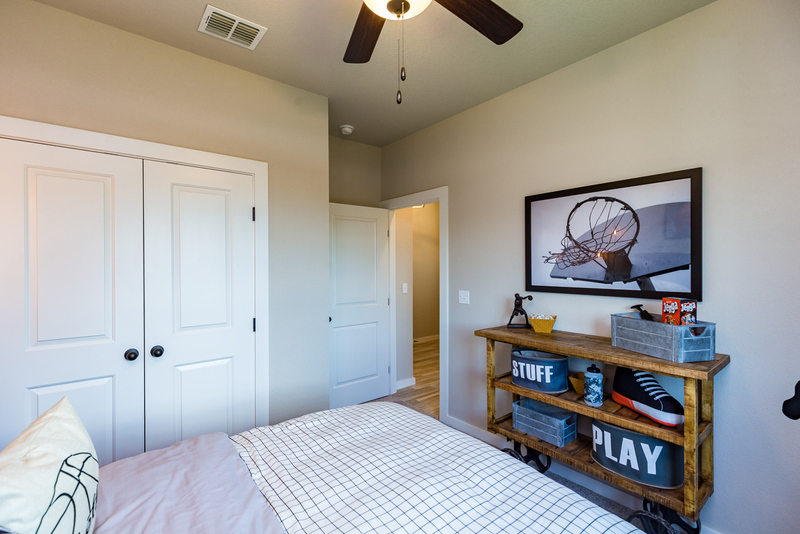 Back inside the home, and off the kitchen, is the fourth bedroom with an ample closet. This room can also be used as an office or study—it is a great multi-purpose room for either a small family…or a large one. And then, off the living area, we find the Master bedroom and bath. 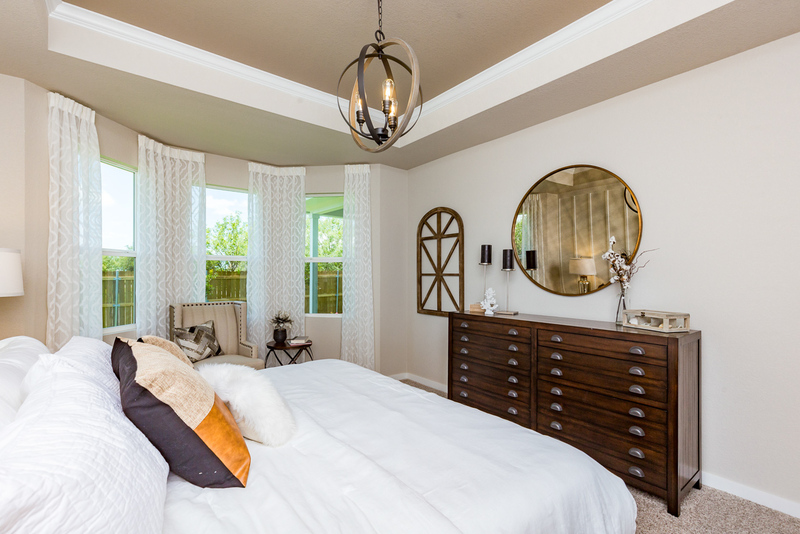 The Master bedroom, with large bay windows, is a symphony of serenity. 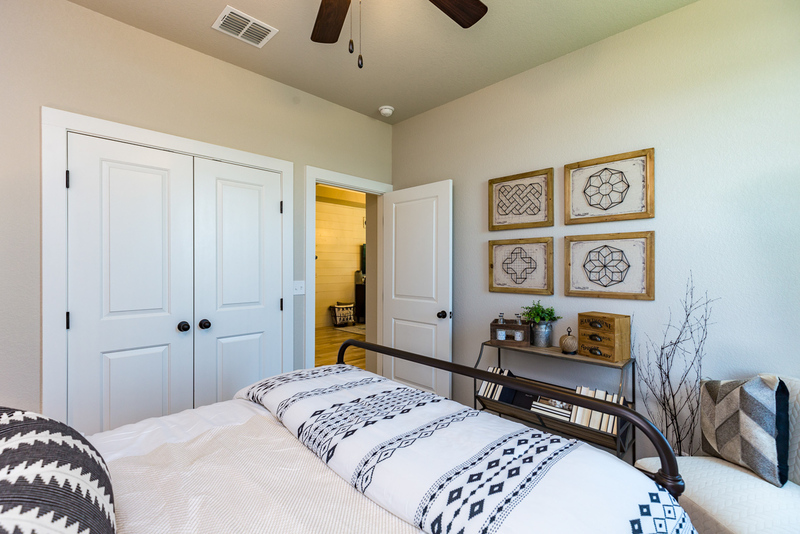 Soft carpet underfoot, a white vertical wood plank backdrop on one wall in keeping with the Farmhouse charm design, and a two-tone tray ceiling come together to create a perfect sanctuary, an idyllic place to relax after a hectic day. 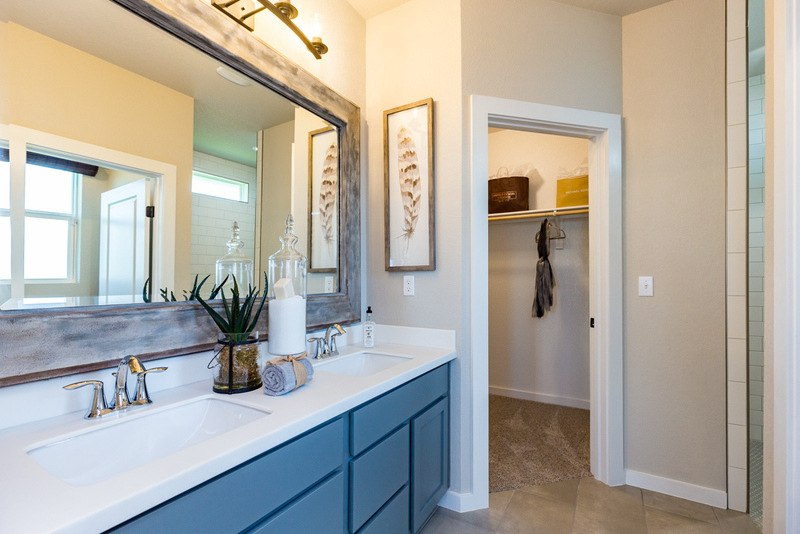 And the Master bath? 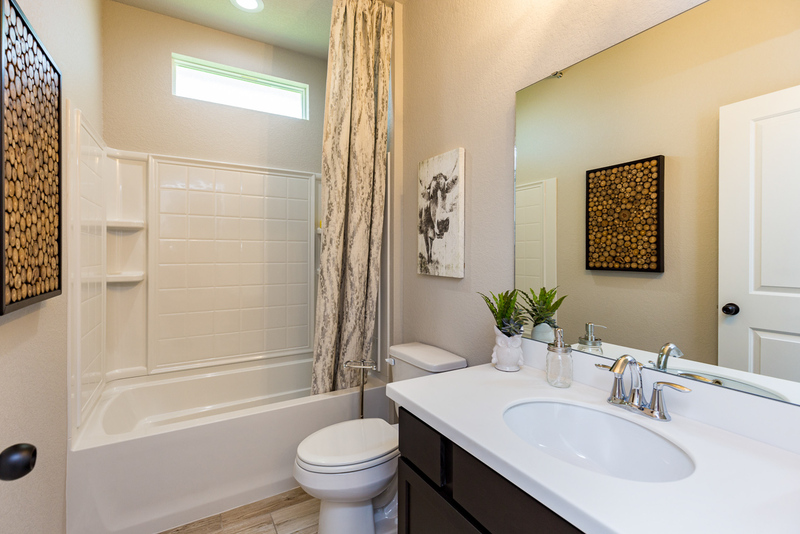 Another award winner: “Best Master Bath”! Double doors in the Master bedroom open onto a delightful space: a bright quartz countertop with double sinks on top of cloud gray cabinets, a separate water closet with its own door for privacy, an enormous walk-in shower with rainfall showerhead and white subway tile, and an ample walk-in closet with built-ins. 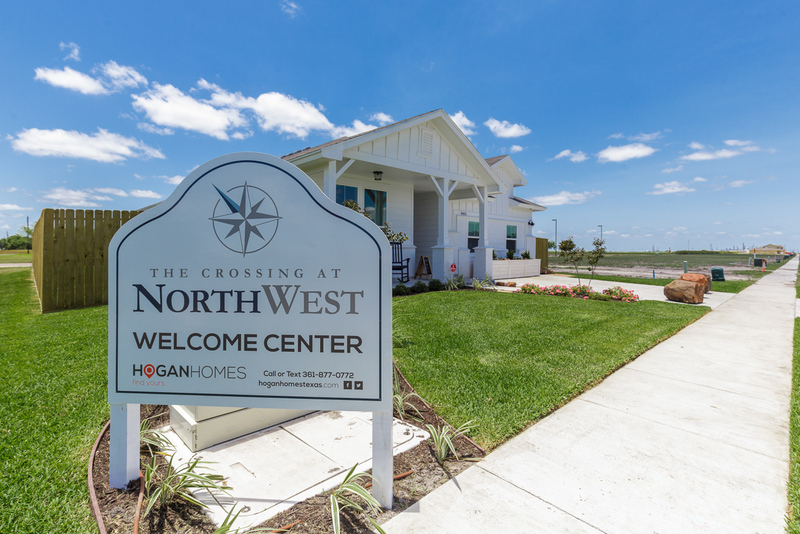 Hogan Homes can rightfully be proud of this enchanting award-winning model home nestled in The Crossing At Northwest. 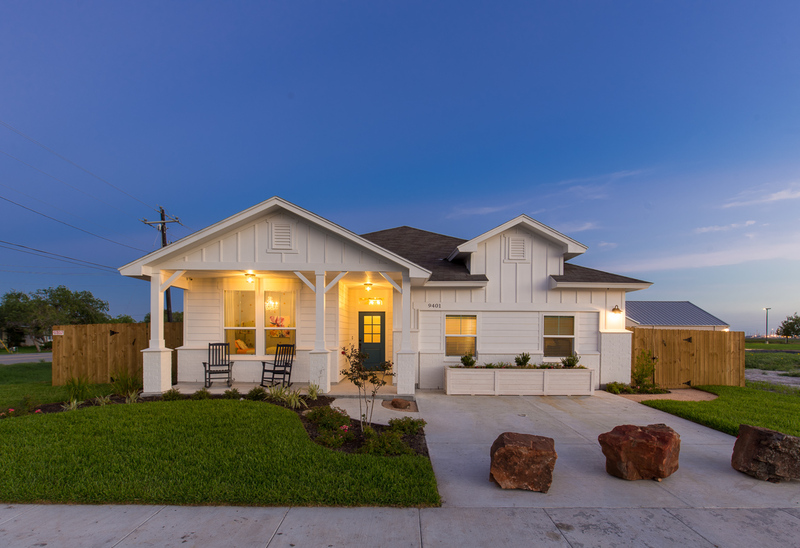 Winning “Best Landscaping,” “Best Exterior,” ‘Best Interior,” “Best Craftsmanship,” and “Best Master Bath” are absolute accomplishments for a home in the “Under 1800 Square Foot” category. But there’s more! 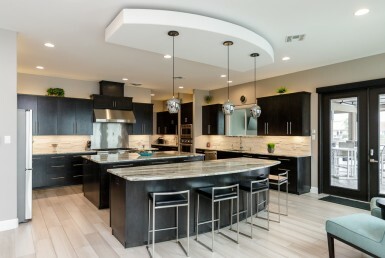 A sixth award was given to this home: the “Jeff Koellman Design” award for excellence in design. Then, for the future homeowner of this outstanding residence, two very important awards: “Most Energy Efficient” and “Most Green Home”—a true testament to Hogan Homes’ commitment to building homes that save owners money on utilities and save the earth’s resources for our children. Why are these two awards important? Because it is one thing to look at the visual beauty of a home, and this Hogan home has that in spades, but what is behind the walls and the materials used to build an energy efficient and green home are what will save the homeowners a lot of hard-earned money and add durability and resale value to their investment. 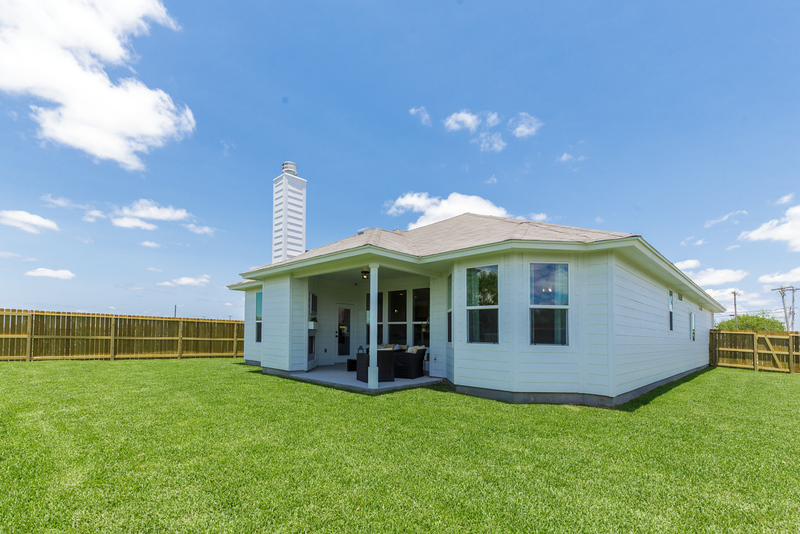 The utility bills on this Hogan home are under $100 a month, while many other Texas homes have energy bills of $200, $300, or much more per month. 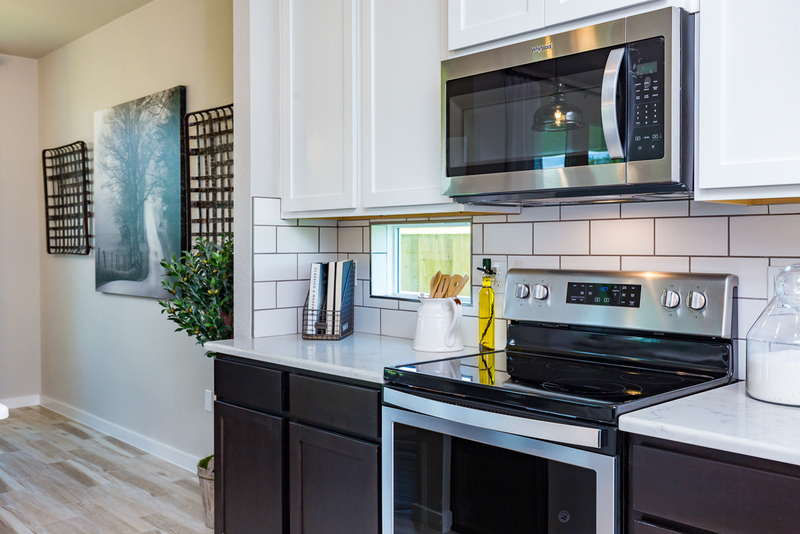 Imagine the savings over the life of the home! 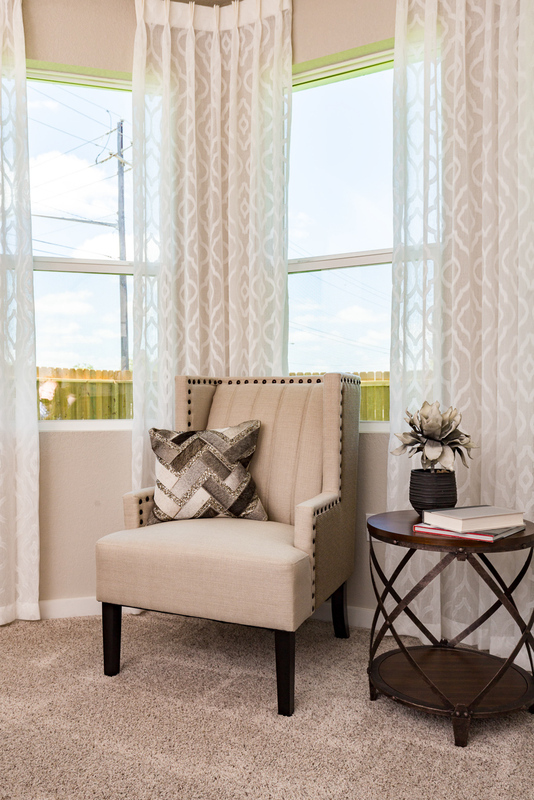 Hogan Homes recently reached a milestone of building over 6,000 homes for satisfied homeowners. 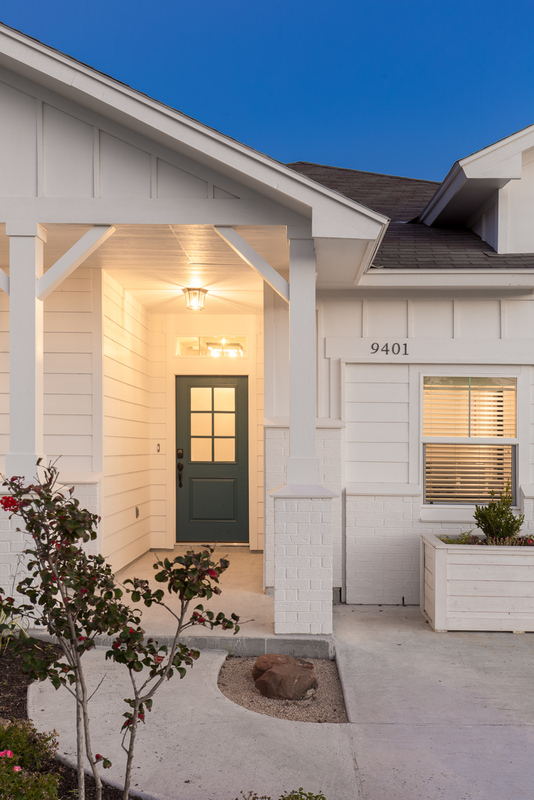 This particular model at 9401 Sedalia Trail, recognized overwhelmingly for excellence by building industry peers, is selling for a very reasonable $190K+. 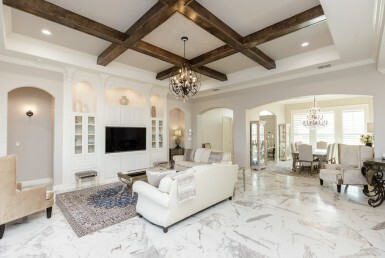 The home is a monument to the company’s reputation for quality construction and high standards. 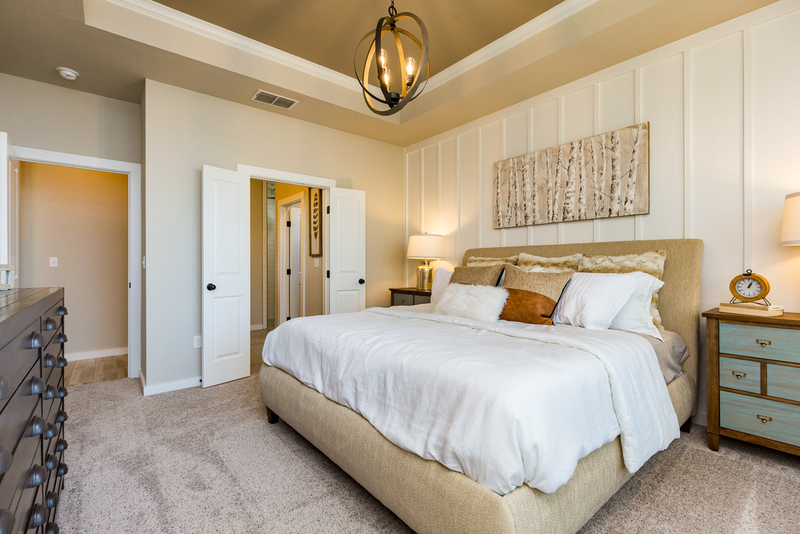 If you are interested in buying or building a new home, Hogan Homes is here to help. 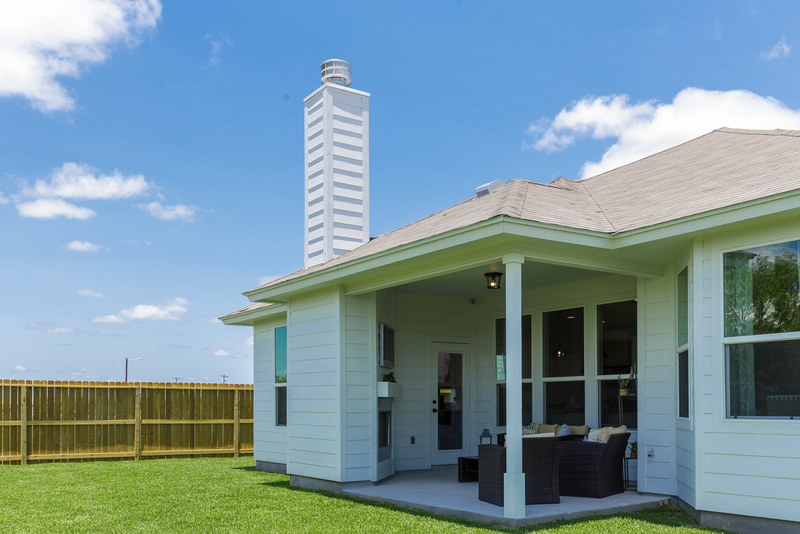 Call or text (361) 877-0772, or visit their model home, open daily and let their Texas-friendly sales counselors assist you. For more information, you may also visit their website or facebook.